October is officially in full swing, with Halloween just around the corner. 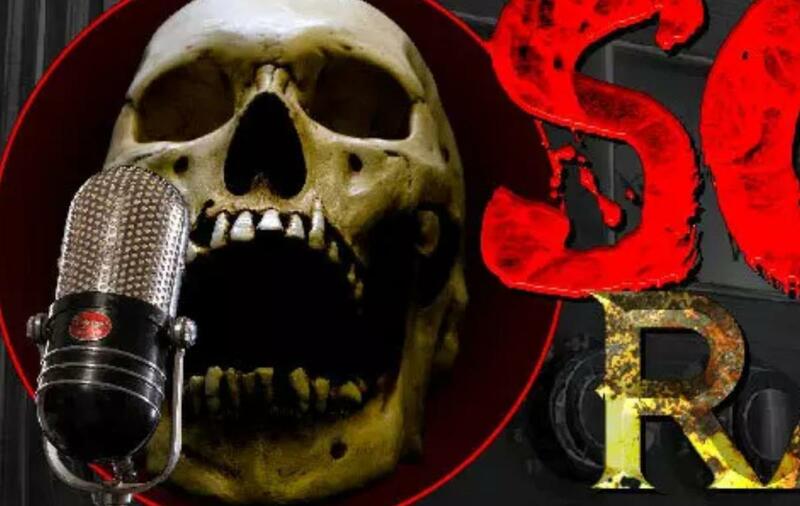 With everybody bingeing through their horror movie collection, putting up skeletons in the window and carving up pumpkins, what better to get hyped for the scariest of holidays than to talk about SCRM Radio? SCRM Radio is an online radio dedicated to supplying horror 24 hours a day, 7 days a week, and 365 days a year. Made up of a creative network of horror writers and narrators, SCRM Radio is run by Tra Cee, who is a recording artist in addition to being the owner, the station manager, and a hostess on SCRM. How did the idea for SCRM Radio come about? SCRM Radio was born of a need to replace a radio station that was going away. I was first asked to take over that station, but it was decided that I should start a station of my own. My format is a bit different, but the idea is the same – bring horror to the masses in a way that allows people to use their own imagination. How hard was it to get your project off the ground? Were there any particular challenges you had to overcome, and how did you get around them? It wasn’t very hard to get the radio station off the ground. There was definitely a learning curve, though. Everything from creating playlists to uploading stories had to be figured out. Since I don’t just own the station, I run it as well, I am responsible for making sure that what is heard is quality. Among SCRM’s crew are YouTube horror narrators, ranging from the popular MrCreepypasta to the new kid on the block MrBlackPasta. How did you get the individuals on the team? Did they come to you when they heard of this project, or did you seek them out? Just about everyone on the station I sought out. There were some narrators that I’d gotten to know from the previous station, others I didn’t meet until I started SCRM. Some I met because they were guests on other hosts stories, and yes, there were some who asked to be on the station. Being a radio show about horror, you’ve obviously encountered your fair share of writers. Who would you say are some of the best writers you have worked with/ read in your free time? I love Alistair Cross, Isaac Thorne and Steven Van Patten! Deno Sandz is a great author as well, and so are Tamara Thorne, John Palisano and a few more! Isaac and Steven are hosts on the station, Alistair I interviewed and is a really good friend. What would you say are some of the best horror stories out there? I love blacked-eyed kids stories, I love Mr. Black’s Audio Originals (The Line is my favourite), and I absolutely love Diggum by Isaac Thorne. How does this project compare to mainstream radio? Mainstream is all about top 40. That is what you hear on repeat, with a few older songs thrown in for good measure. It is not radio that invites you to use your imagination. It is full of commercials, and meaningless talk. SCRM is different. It is a throwback to when families would gather around the radio to hear the War of the Worlds serials, and, again, you had to use your imagination. How would you attract a listener to this niche form of radio? I simply invite people to listen to what they already love to see on the big screen. This may be a niche station (for now), but horror is not a niche genre, so the audience is there, they just have to be made aware of the fact that it exists. What would you say are the big differences between a great horror story and a personal favourite? A great horror story appeals to a wide range of people – personal favourites are just that, personal. Dracula, for example, is a great horror story. That is a story passed down from generation to generation of movie goers and book readers. It is iconic and steeped in legend as well, thanks to Vlad the Impaler. A personal favourite would be the stories about the black-eyed kids, which to me is more of an urban legend. It is creepy to be sure, but will it be remembered by more than a few people in 20 years? Maybe so, maybe not – but stories like Dracula – those stories are eternal. How can people support/contribute to SCRM Radio? They can buy me a coffee! The link is in the Twitter bio! They can also share the links and encourage people to tune in! Again, I pay for the station to run, so if anyone wants to help support it, that would be awesome! Do you have any advice for new content creators out there? Create. Never stop creating, no matter how tired you are. No matter who tells you to stop. It is your passion, your vision – no one can make it come to life but you. Check out SCRM Radio here.